The film follows Frances McCullen (Chloe Grace Moretz), a young girl who has just lost her mother and who, after found an abandoned wallet in the subway, decides to find her owner and return it to her. This will take her to meet Greta Hideg (Isabelle Huppert), an elegant French widow who will become a friend and almost a mother to her. Although at first it seems like an ordinary friendship, Greta's intentions about Frances could be very different from what they seem at first. 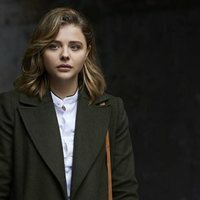 The film is directed by Neil Jordan (Oscar winner for best original screenplay for 'The Crying Game and director of 'Interview with the Vampire') and starring Chloe Grace Moretz ('Let Me In', 'Carrie' and 'The 5th Wave') and Isabelle Huppert ('Elle', 'The Piano Teacher' and '8 Women'). Write your own 'Greta' review. The original title of the film was 'The Widow', but finally it was changed to 'Greta'. The film is set en New York, but it was actually filmed in Ireland. The distribution rights for the film were bought at the Toronto International Film Festival by Focus Feactures, for a total of $6 million.